Best Ways to Attract Pharma Franchise Distributors in Pharmaceutical Sector – Many pharma companies are established in India and to run their business successful they need the help of a good distribution channel. An effective distribution channel makes the company reaches a higher level and earn a good profit margin. The distributors help to engage with the wider audiences, increases the sales and brand value within less time. 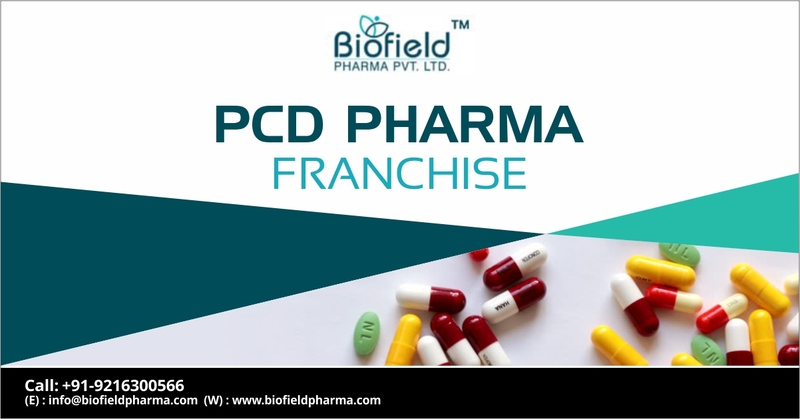 For all the pharma companies here out we, Biofield Pharma brings for you the Best ways to attract distributors for pharma franchise in the pharma sector. Biofield Pharma is the most reliable and trusted company that has an effective distribution channel. With the help of our distributors, we are able to deliver our quality medicines across Pan India. For more further details you call us anytime at +91-9216300566 or you can also mail us at info@biofieldpharma.com. The pharma industry is growing very rapidly, every day a new pharma company is set up in India. To meet the daily demand and requirement of the customers a good base of pharma franchise distributor client base is very necessary. When you want to attract then attract the best distributor that only gives you a profitable business. By creating the brand image and goodwill of the company they help in increasing sales. The MR has only some sort of delegation of authority. Rest all the authority remains in the hands of the company. In order to lighten the burden of the company, many distributors invest in the MR.
An experienced MR has good skills in communication and marketing that attract more customers. You can easily maintain the independence of the organization. Also, you don’t need to focus on one single distributor/wholesaler for sales. By keeping in mind the moral and ethic values the MR can create a demand for the products. Therefore no risk of destroying the company’s reputation. In the modern era, digital marketing is ruling in the market. Everyone is searching for their problem solutions via the internet. Then Why Not You? To catch the hold of the best distributors then digital marketing is the best platform. you get the various options and from across India, you can select the group of potential distributors. Likewise you many franchise distributors are also surfing on the internet in search of any better opportunities from the pharma companies. There are various tools for doing digital marketing which you can opt such as PPC, SEO, SMM, email marketing, Google AdWords etc. Blogging is the very simple and productive part of digital marketing from where you can get a good response. Write quality and relevant content of your company describing your features and offers that will drive consumers. Clear that it is only for satisfaction and not for sale. Impress the people by your content and then they will directly contact you. Social Media is the best platform that engages maximum customers toward you. People are very active in popular social media platforms like Facebook, Twitter, Instagram, Tumblr etc. You can also target the doctors, medical professionals in advertisements. Social media generates sales and attract serious pharma franchise distributors. We hope that you get a productive idea for your company of attracting the best pharma franchise distributors. There are also the other ways to promote the business such as an online portal advertisement, drug book or pharma newspaper advertisement and CIMS advertisement. If talking about our company then with help of above-listed ways we have good channels of distribution. Therefore use the modern method and make your company run successfully. Biofield Pharma, leads the oportunity to bring better business dealerships near you. We have a smooth marketing strategy and promotes techniques that will bring better deals for you. You can contact us for Pharma franchise business now.